Midnight Hollows Townhouses is a great build to release at Halloween! The exterior design of each of the townhouses looks very nice! Very nice furnishing of one of the townhouses! The black and white colour scheme, and the pattened walls through the build look so very effective ! You have designed and furnished each room so very well! The piano that you have created looks great ! Very nice design of the large kitchen and dining area! The table runner does look very nice on the dining table, and the type of dining seats used suit the home well and look very nice. It is a very detailed townhouse that would have involved a lot if time and work. It is a very creatively designed and furnished build which uses the black and white colour scheme and use of patterning so very well! Thanks, @rosemow! I really enjoyed this color scheme and used a lot of items I have never played with before. I have a new project in the works. I started it this last Wednesday. Things are coming along nicely, but I've taken a break for the last two days. Hopefully my creative juices will start flowing tomorrow, since I'll have some time off till Friday to work on it. It's a much larger home than I'm used to, so I'm still trying to work on the layout. 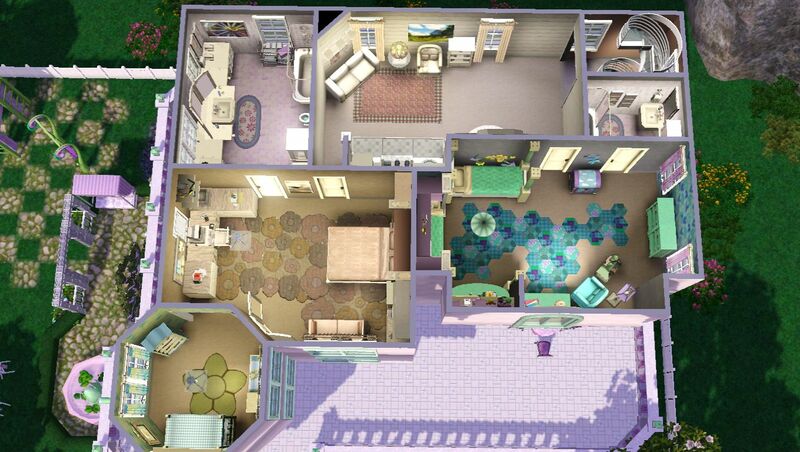 I've got all of the outside done and the first floor minus the bathroom all set, though. I'm looking forward to getting it done. Not only do I love how it's turned out thus far, I actually built this one for one of my saves, intended to be an upgrade from their current home. It's just waaaaay over their budget. Oh well! Guess I might cheat a little in order to get them in it, when I'm finished! 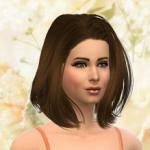 Of course I'll share pictures and a download link when the time comes, but thought I'd tease you for now. Thank you, @rosemow. If this build continues to go as well as it's going so far, I will be very, very happy with it. I wasn't planning on sharing pictures till I was finished, but since I am sitting here on this Thanksgiving day, waiting for meal time, I decided to take some of my screenshots into imgur and . . . I liked the screenshot in black and white so much, I just have to share! So, here's a sneak peek! Victorian Dollhouse is very nice! Very nice design of the exterior! The tower and the roofing design is very nice! The black and white colour of the picture looks very effective! I will look forward to seeing the finished build. O I love that! The shape and all the little details you've added to it. The black and white pic is perfect! Gives it a "days gone by" look. Glad you like it. I think this might actually be my favorite build ever. It's a little bit more ambitious than what I normally do, since it has 4 floors and I usually don't top more than two. Yes, it does give it that sort of look. Reminds me of a sketch. 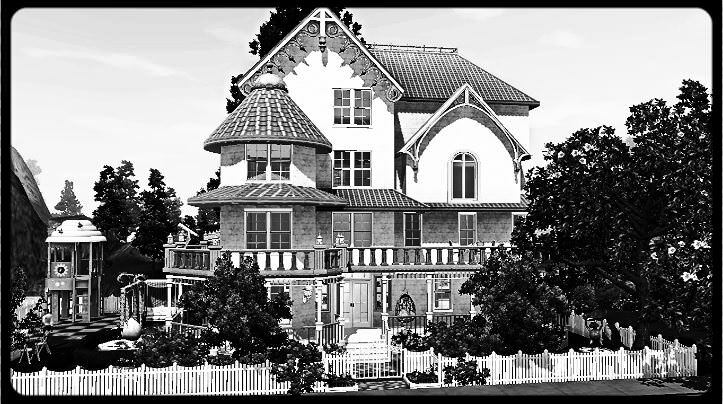 Although, the build is most definitely not old style or dollhouse Victorian in that sense. It's not something that you would expect to see in real life either. 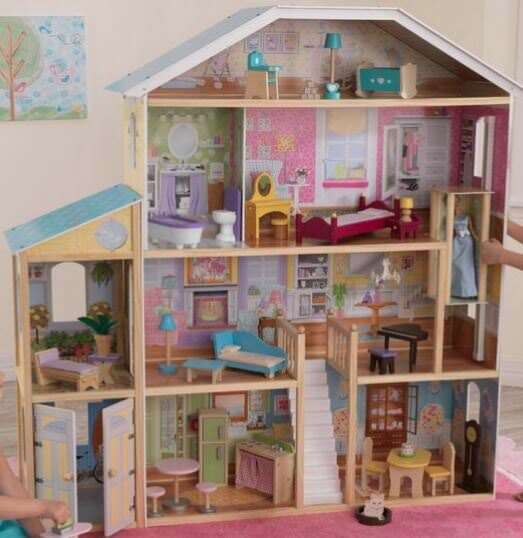 It's more of a combination of Victorian with Barbies play house. 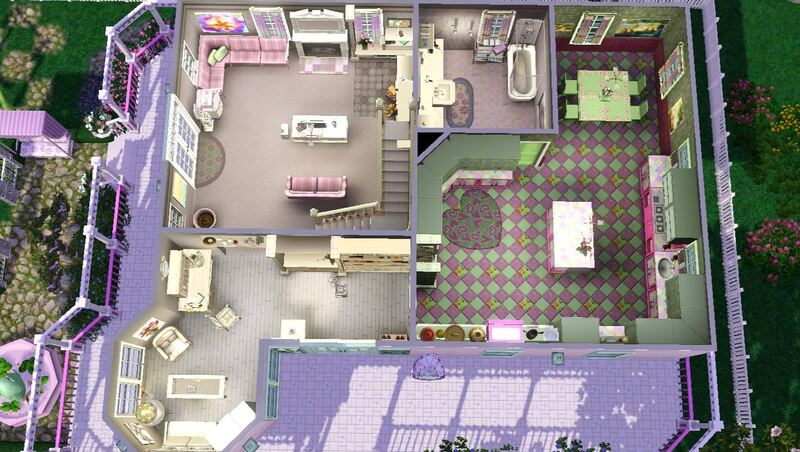 This image is the most accurate portrayal of what the house looks like that I can find. It has a similar color pallet. Happy Thanksgiving, @romagi1! Ha! We have plenty of leftovers at my house. I bet it could feed me for the next 3 or four days. What a perfectly awesome pic and build! Just wait until you see it in color! what a lovely WIP picture. Looks great! I hope to get it finished sometime this week. Planning to work on it a little bit later and some tomorrow. Can't wait to see your finished WIP dear! @BreeMiles, I'm excited to share it with you all. I didn't get time to work on it like I planned to the last couple days, though. 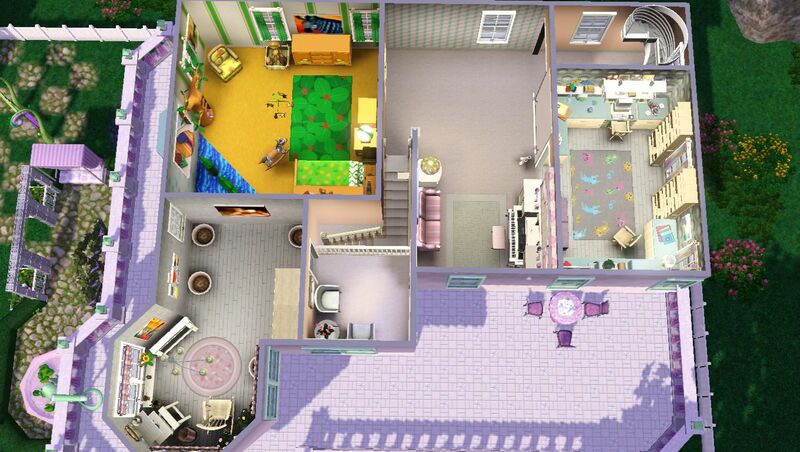 So far I've got, the entrance, the kitchen, living room, study, a room dedicated to planter bowls, the kids rooms, the parents room and the nursery done. I still have three bathrooms to do and then I've got to decide what I want to do in in the two rooms that I guess I'll consider as a large hallway and the entirety of the fourth floor. I wanted to make the fourth floor a rec room and perhaps add one or two more bedrooms up there as well, but this means the two "hallway" areas will be hard to fill. At this point, I think I've added enough seating areas and bookcases. I wonder what to do? Thank you @rosemow. I really love what I've got coming together, especially now that I've recolored the study to make it match the house much better. The other look, while not bad on its own, just wasn't flowing like the rest of it. And just now I've touched up the parents bedroom. Looks great me thinks. I managed to squeeze in some time to work and complete the three bathrooms, tonight. 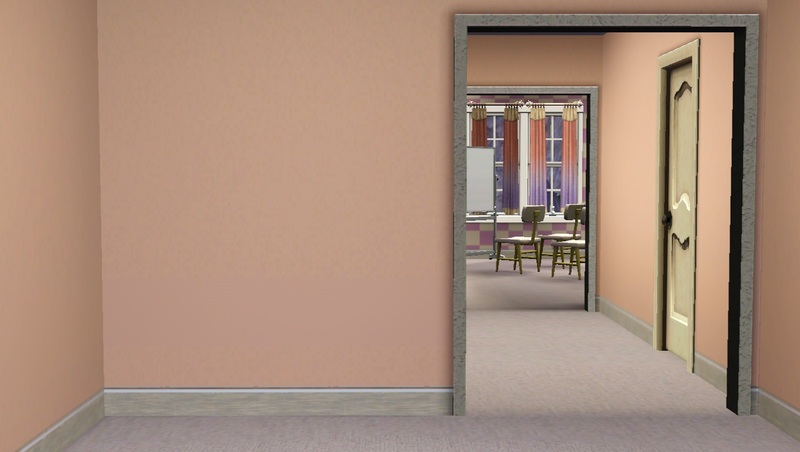 I've also shortened the odd looking "hallways" and now they both look like living spaces, so I can visualize the kinds of things I want to put there much better than I did a few days ago. 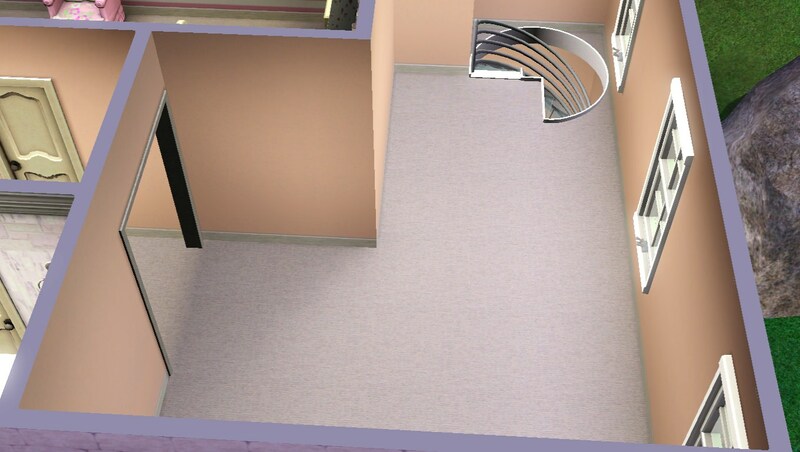 They, however, still remain empty along with the entirety of the fourth floor, which I haven't designated areas for yet. I'm still very much excited to share this build with you all. I think it may be my best ever and I'm EXTREMELY happy with it. Some very serious things have come up in my family life, so my priorities have shifted. I did say earlier this week that I'd hope to have it complete by now, but now I think it may take at least another week if not more. I send hugs to you with what is happening in your family life Real life family are the most important , so please take care of yourself and your family, and don’t be concerned with how long before you finish the build. We will all look forward to seeing it of course, but it doesn’t matter at all how long it takes. Sort of an expansion of my 'family friendly treehouse', this home takes that whole cutesy feel to a whole new, sophisticated level with delicate hues that will make your heart swoon! At the most bright point of the day and the most natural of its look, the home has a very soft, yellowy-pink brick exterior and purpley-pink trim. As the day grows longer and dark, that yellowy-pink brick exterior turns purple, in the shade. The wrap around porch and balcony goes all the way to the side of yard, making for a picture perfect wedding capture . . . Just add an arch and perhaps some seating and you're done! A little private seating arrangement to the side and nearby the fountain. From the other direction, we can see it all more clearly. It's a pretty open space. I put the firepit there to fill in the space, but it by no means has to stay put. I think an actual wedding arrangement with those chairs would look great there, but it fits as a nice placeholder for now. Though it doesn't appear that I got any good shots of it, I've also got one magnolia tree and beehive thing on the corner of the lot. I had my sim plant a few things beside it to get started. From another angle we can see the side of the house . . .
And the front . . . The entryway opens up to these built in cabinets, read in nook and 'arts and crafts station.' I got some real life inspiration from a family friend that has a sort of shabby chic look in her sun room space. I wanted the room to match the outdoors, but meet a more neutral tone in order for a more welcome, warm and cozy environment. So, I used a lot of wicker and weave for this small space. You also see that I've placed a few paintings on the wall. More make an appearance throughout the house. The kitchen gets a lot more bold. However, knowing the end result of this house, I have no regrets about it. 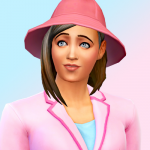 In the sims there's only so much you can do to create a lived in look. I went all out . . .
All four bathrooms look similar to this with very minor differences. For this one and the master, the mirrors do not work because I used moo to combine the sink with a table. The other two bathrooms are much smaller, but still have the bath/shower combo plus the sink and toilet, of course. I don't think its necessary to go through them all. This is the living room space. 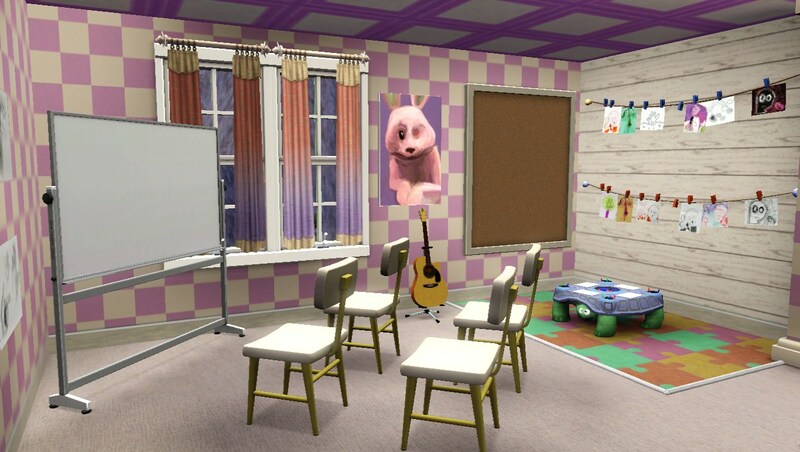 I don't really care much for tv's in my sim game. I much rather the fireplace be the focal point, instead. I considered putting the tv off to the side of the fireplace, but I really like the wrap around seating with the corner pillow that comes from Aurora skies and I thought that would make the room look much smaller than it already is if it were place in the middle with the turn. So, I placed the tv in the middle, but hid it's grossness by moo'ing it into a table. Upgrading and such won't be a problem, since I had my witch/warlock go in and upgrade all the appliances. In the corner, I moo'd in a cute little reading nook, which I'll expand on later. You'll see . . . You may have also noticed that I like this blue vace with the pink flowers a lot. It's sort of been the 'Easter Bunny' of the first floor. It makes fewer appearances through the rest of the house, but I really did fall in love with that vase. Now we go upstairs. I put a piano here and dressed it up nicely. To my surprise, the dresser drawers actually work. I was just assuming they wouldn't and I was OK with that. So, now I'm extra happy about it. The ballet bar goes nicely with it. On the opposite side I put a sofa, as you can see in the reflection of the mirror. For such a small, little room this study sure took me a long time to figure out! One custom 'fake' desk on one side and a real workable one on the other . . .
On the other side of the hall, we've got the first bedroom. While I would have liked it to stay with the theme, I needed a space for younger boys and older boys. This first bedroom serves to the former. I've always liked this set from the store, so I went all out and did the jungle and safari theme. I got a little creative to make the carpet a sandy color and used the corner for this green serpent to swim. I have a small seating arrangement by the door that leads to the balcony. This is the space across from the staircase in my first piano shot. Next to that I have a small space filled with planter bowls. This home was built for my growing premade 'Funke' family and the mom, Sabrina is huge into gardening. I didn't have enough space in yard for a greenhouse, so I opted to bring some of the plants indoors. This was one of the two spaces I was unsure about, but in a sort of last minute decision, I just thought maybe this house could use a laundry because why not?? I actually like it a lot. I think it's one of my favorite rooms. We have two bedroom up here. The first one is for girls. 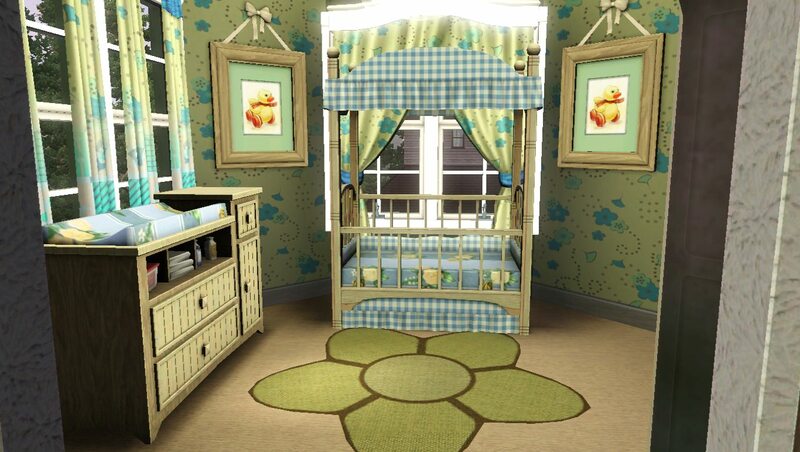 The second bedroom is for the parents and it's connected to the nursery for convenience. Leading up to the fourth floor, I left this space empty. I thought it would be a good place for recreation, one room dedicated to kids and the other for other hobbies like gene splicing. Ok. Ok! I would really like it if I added a plant sim to my family. The science station is really large, but not too large so it will fit there. Please do whatever you like with it. 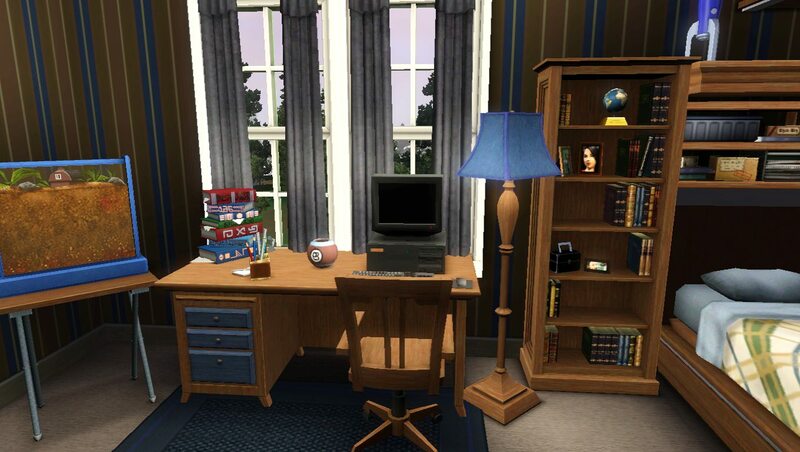 Perhaps there's a hobby I didn't squeeze in this home that your sims NEED! There are two more bedrooms up here. The boys room is perhaps my favorite. I dedicated it to a science nerd and I think it could fit with any age group if need be! I would have liked the other bedroom to be just a spare room and I suppose it could be, but really really trying to keep with the pastels at the point. It turned out beautifully. Last but not least, I made a play room and extended on my reading nook idea that I put in the living room, but made it much more kid friendly. 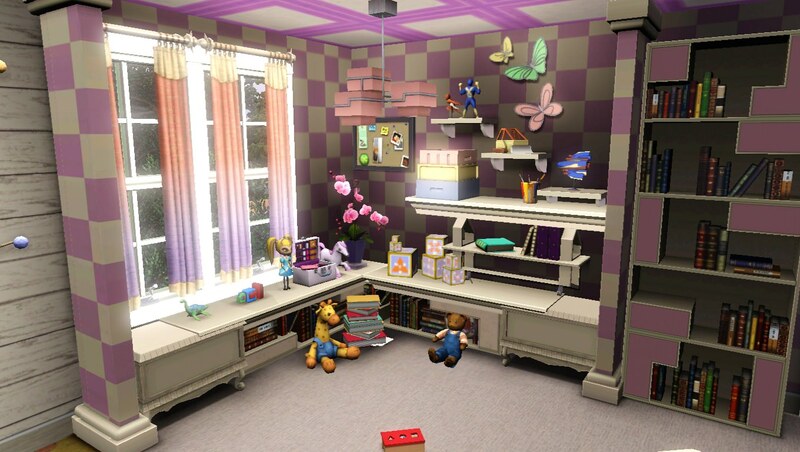 The toy chest work by the way! Pretty in Pastels is such a very, very pretty home! The colour schemes used look so very nice! Very nice design of the exterior of the home! The wraparound porch and upper balcony are very nice! Very nice outdoors areas for Sims to enjoy spending time outside in the pretty setting. Very nice furnishing of each of the interior rooms and areas! The wall patterns used, patterned floor rugs. and the patterned textures of the furnishings give such a very pretty and special look and feel to the rooms! The design of the kitchen and dining area is so very nice! 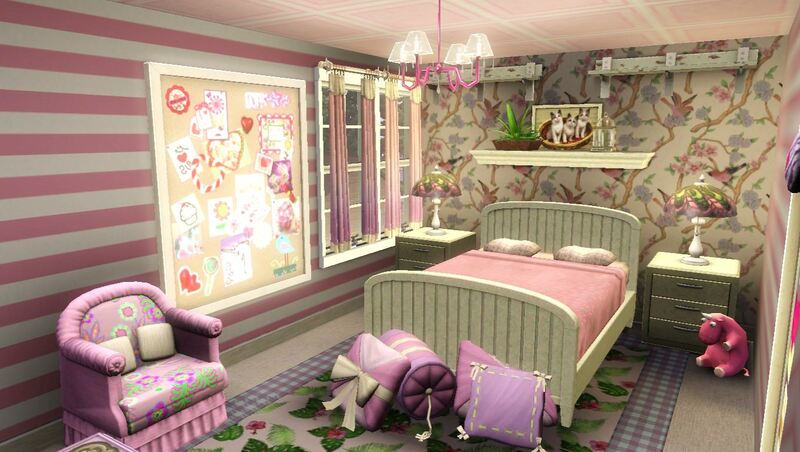 Each of the bedrooms look so very nice! 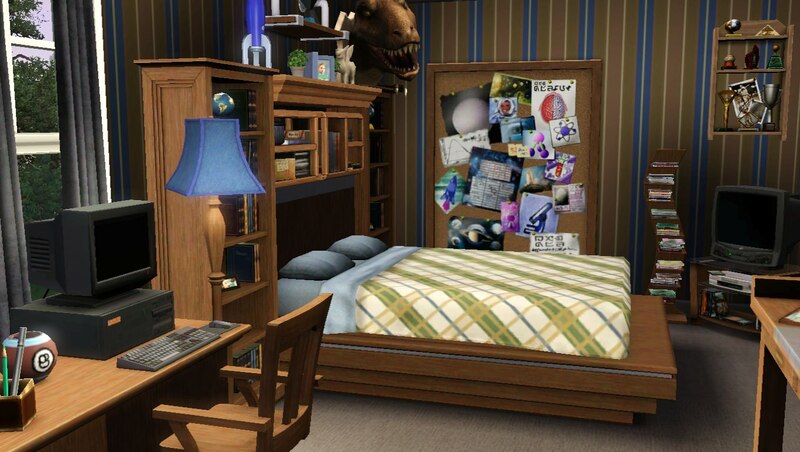 The Loch Ness monster in the corner nook of the boys room is cute! It is such a very detailed, special and pretty Victorian dollhouse home! Love that soft yellow brick!!! My favorite MOO is the workspace in the office. Very creative design with a nice layout.